Established in 1793 by the Graham brothers, James & John, we are located at the gateway to the Lake District. 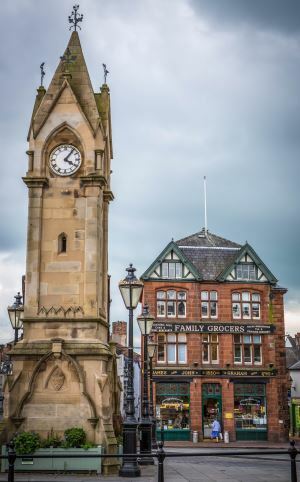 Graham's traditional shop is situated in Penrith's Market Square, the current building dates back to 1880 and it is here J&J Graham's hampers are prepared to order. Open Monday - Saturday 08:30 - 17:30. Graham's has an artisan bakery within where the chef, Alan Potter and his team bake bread, scones, pies, soup, quiches & honey glazed ham every day. 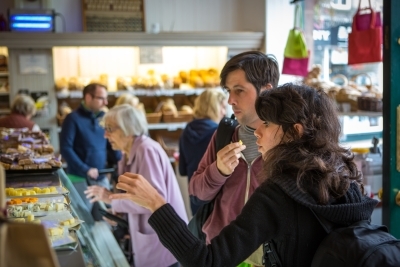 Fortunately, here in Penrith, Graham's has on its doorstep some of the finest speciality food & drink producers in the Eden Valley & Cumbria who contribute to our gift hampers.